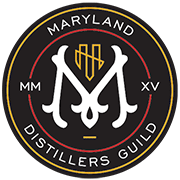 ​Thank you for your interest in Dragon Distillery – the first Distillery in Frederick City! We offer tours, tastings, and sales at our Frederick City location. Dragon Distillery is a small, veteran-owned business strongly rooted in the local Frederick, Maryland community. In the mid-1700s our family settled on a 200 acre tract of land about 25 miles away from the current distillery location. We are continuing the tradition of supporting and enjoying Frederick through our craft distillery. We create hand-crafted, premium, artisan spirits using locally-sourced, natural ingredients. So why did we pick the name Dragon Distillery? We are huge fans of Dungeons & Dragons and all things geeky — role playing games, fencing and science-fiction/fantasy books and movies. We embrace our inner nerd. We delight in the slightly off-beat, and invite you to do the same. The founder is a Navy veteran, having served as an Arabic linguist and intelligence analyst while stationed overseas and in Maryland. He served on a number of surface and subsurface ships while stationed in Greece for five years, and participated in Operations Desert Storm/Desert Shield. He served as a senior intelligence analyst on his return to the United States. We are a located directly across from the airport. We specialize in small batch artisan spirits, made from the finest locally-sourced ingredients in a sustainable and environmentally friendly manner. Some may call us quirky or eccentric, and we are happy to embrace this. We believe in individuality, creativity, and innovation. We strive to bring all of this to the creation of our unique, high-quality spirits. We’d love to tell you more, give you a tour, and help you learn about our craft and vision.